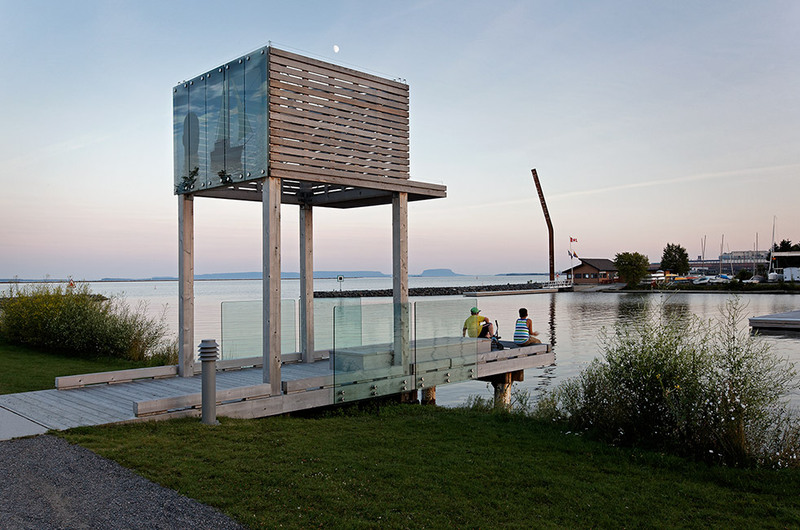 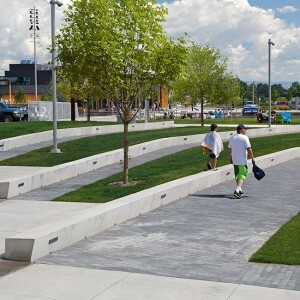 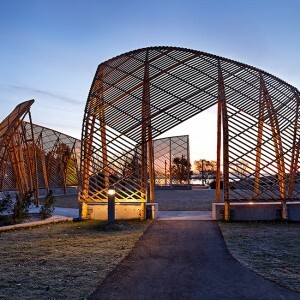 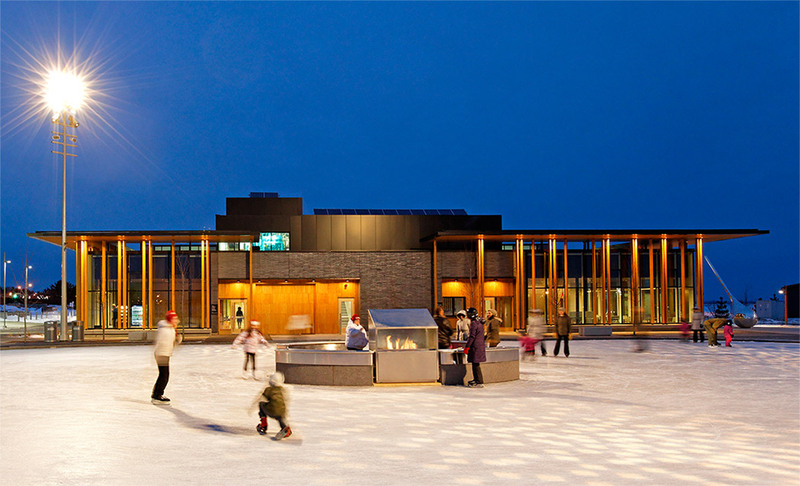 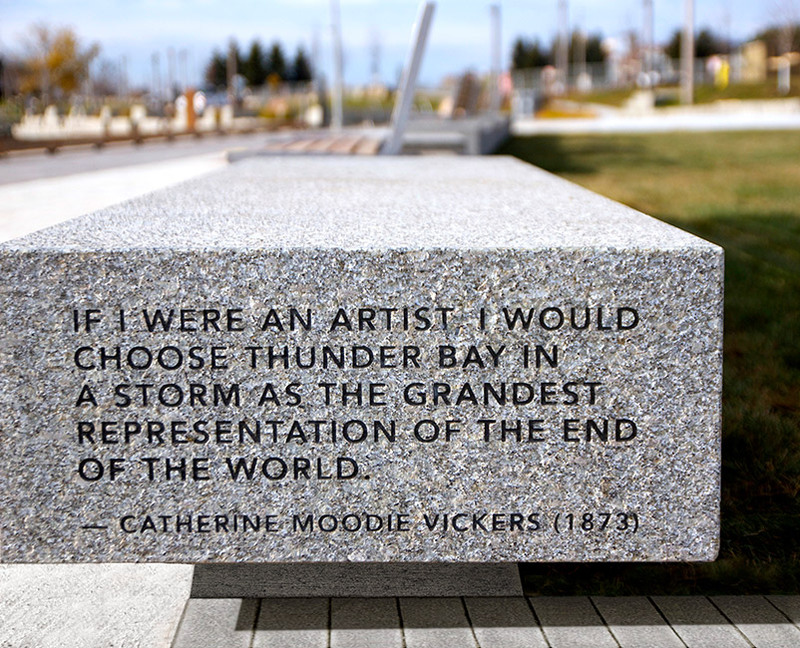 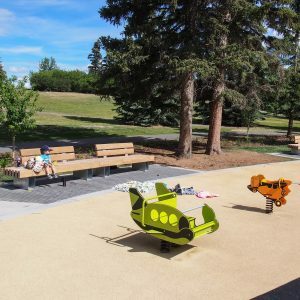 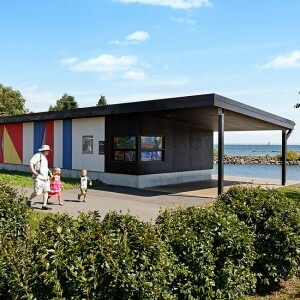 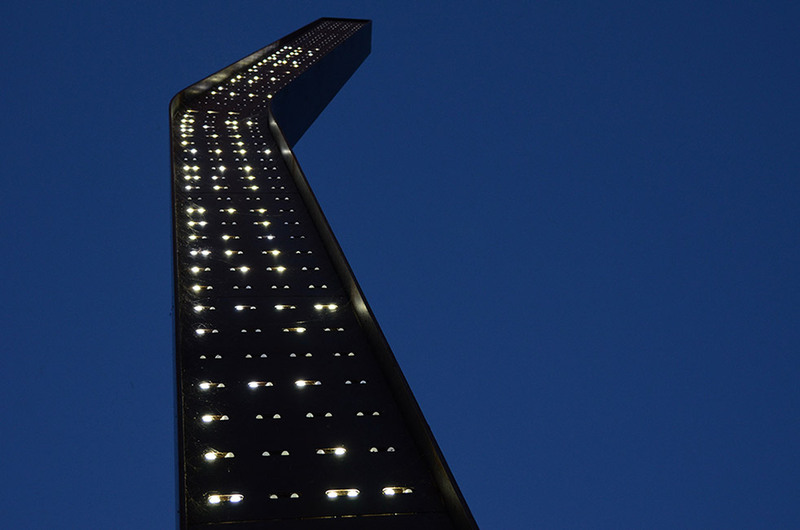 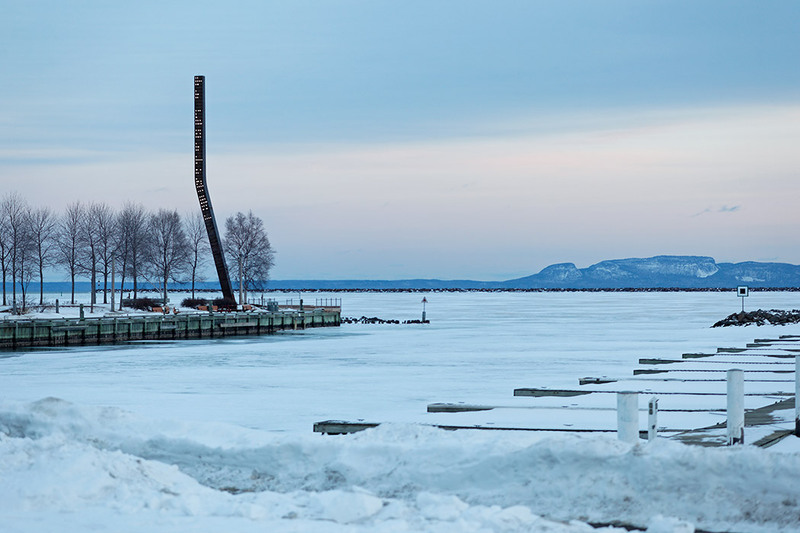 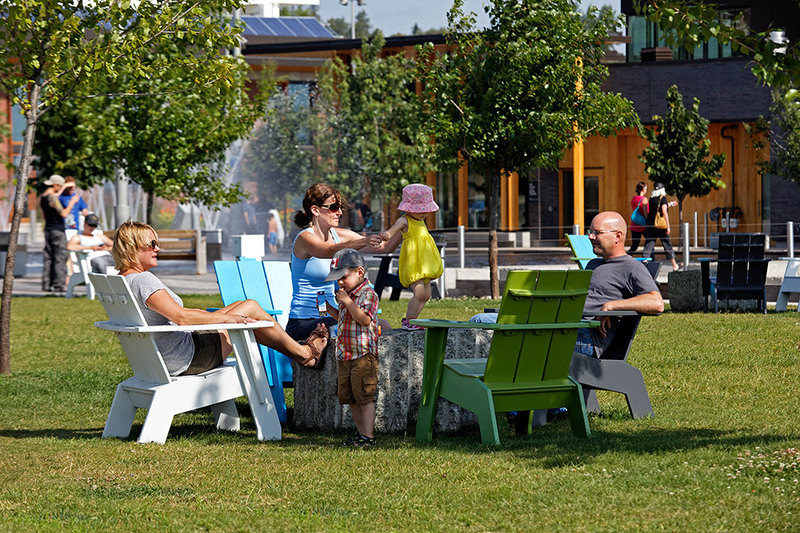 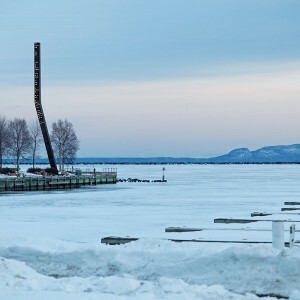 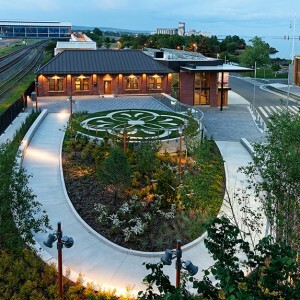 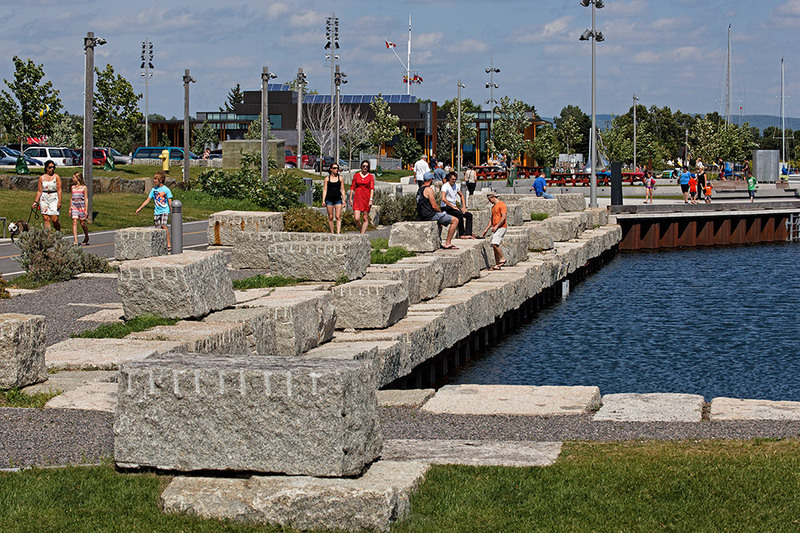 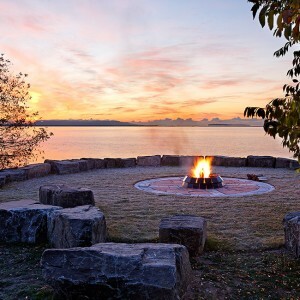 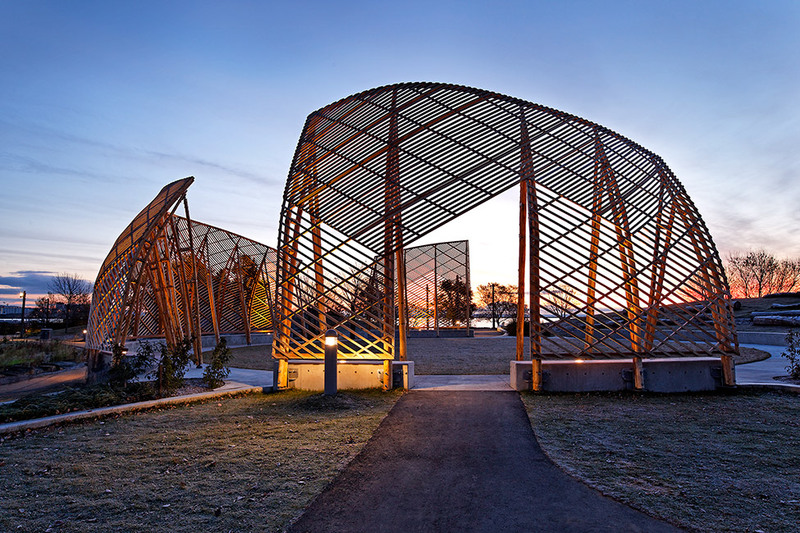 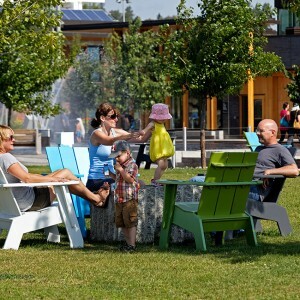 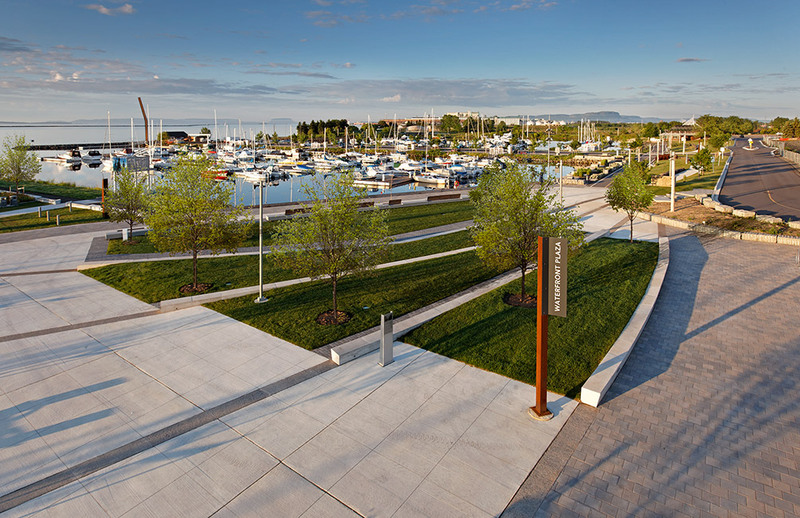 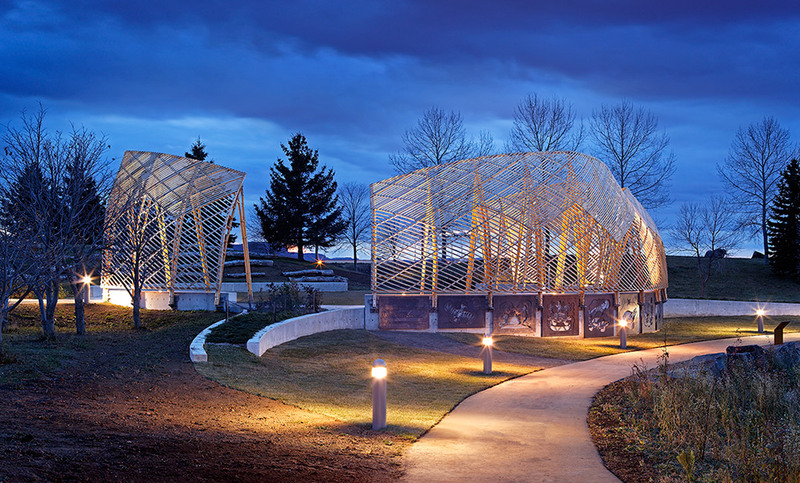 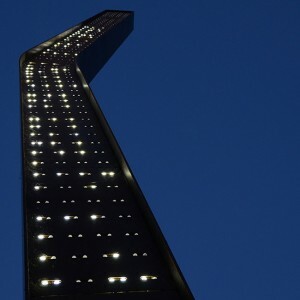 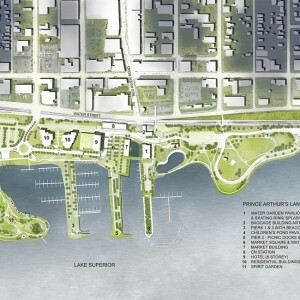 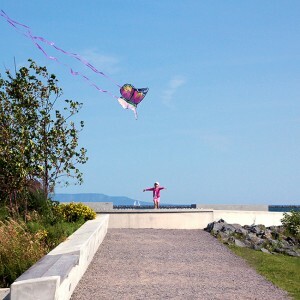 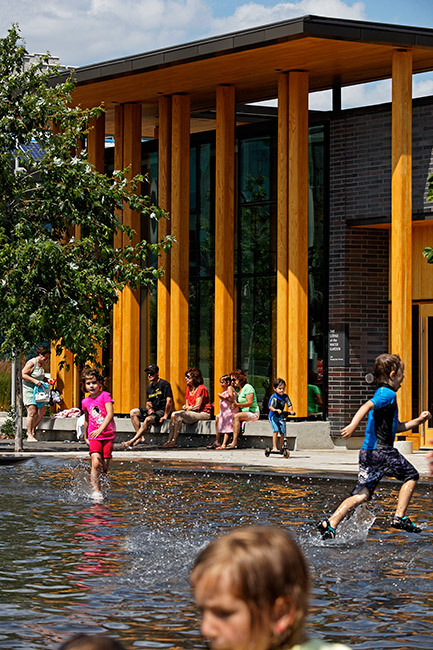 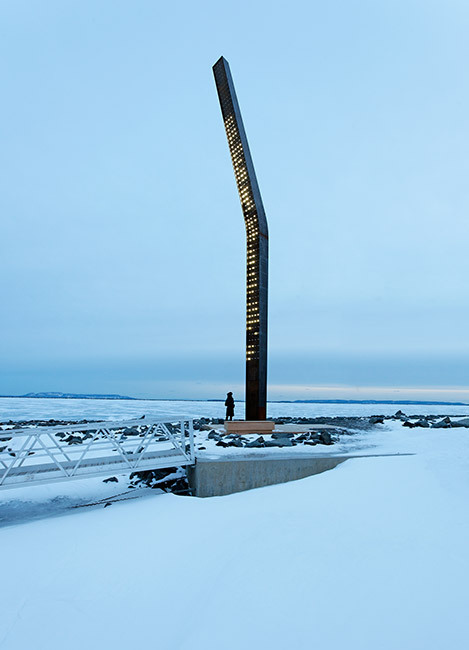 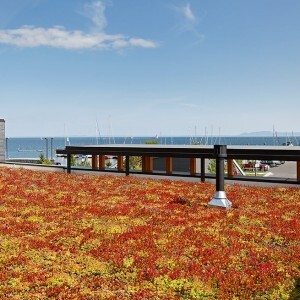 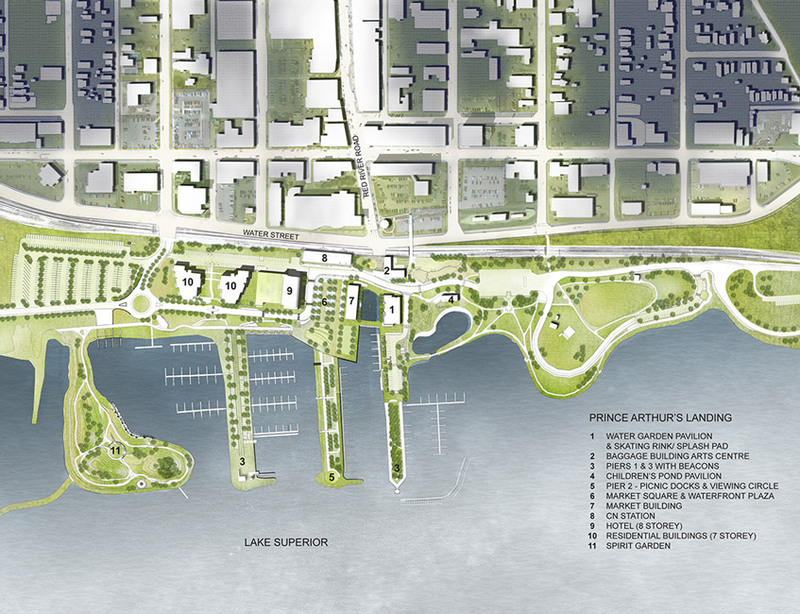 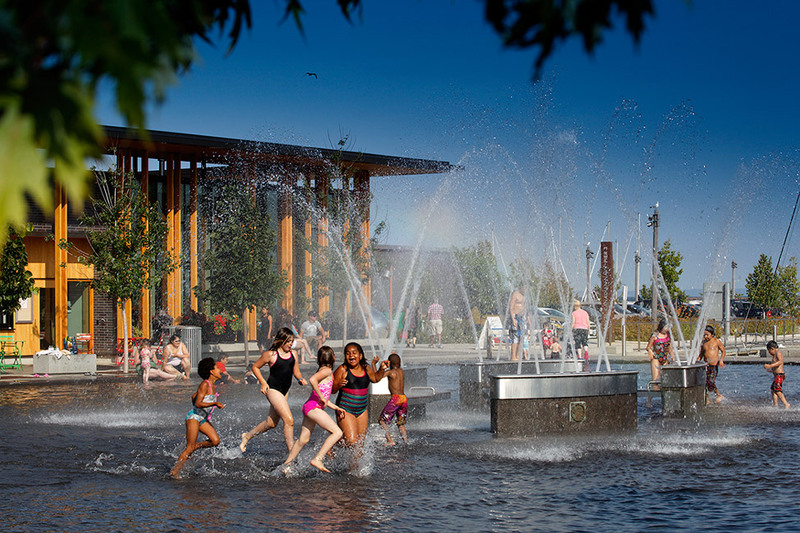 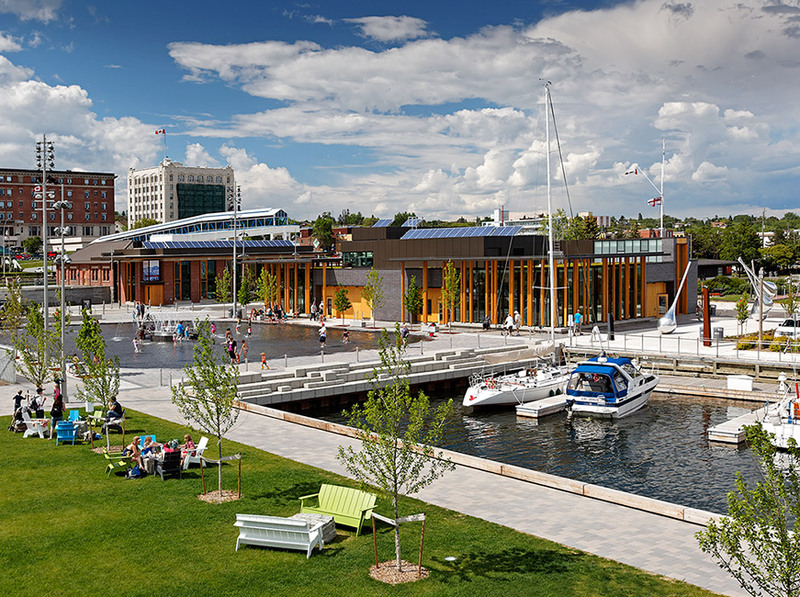 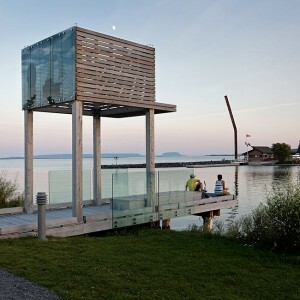 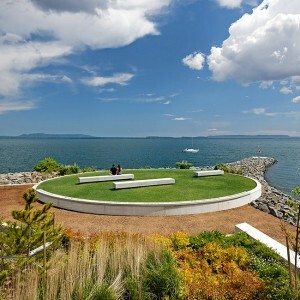 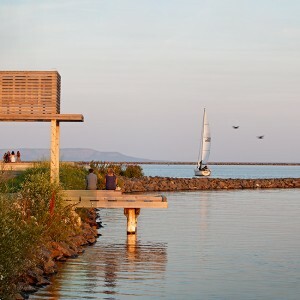 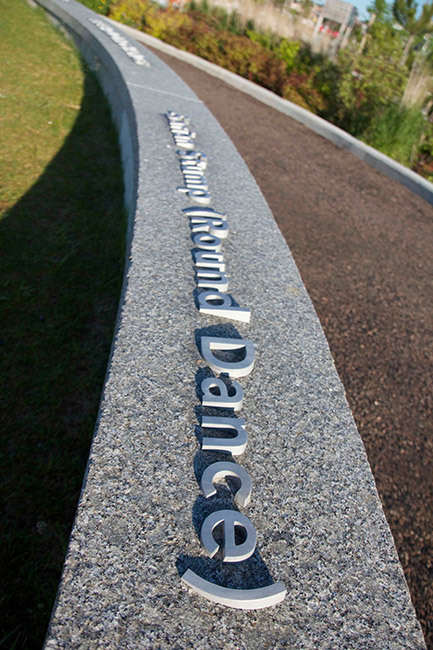 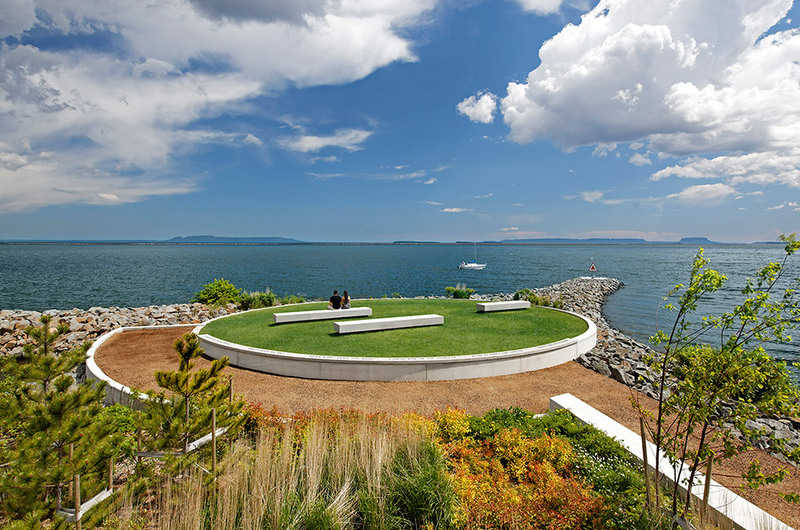 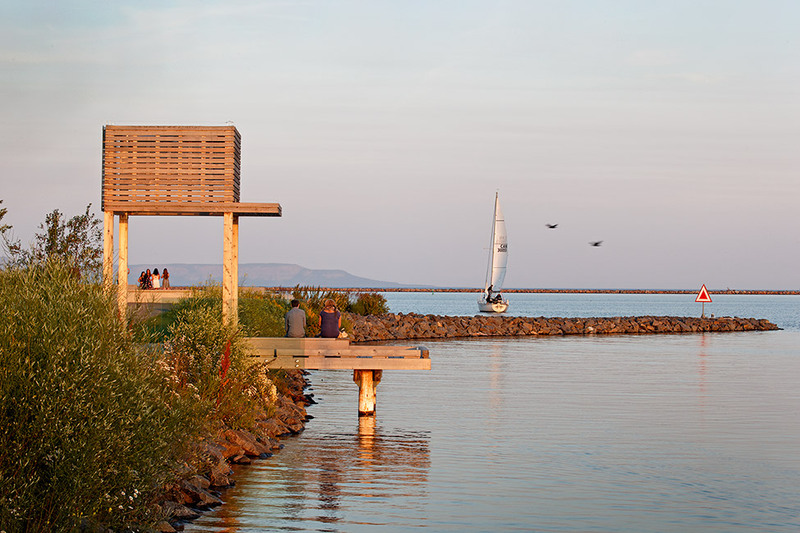 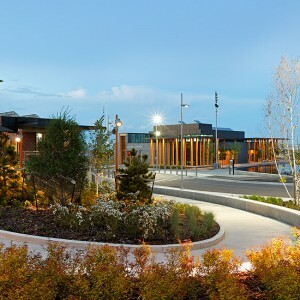 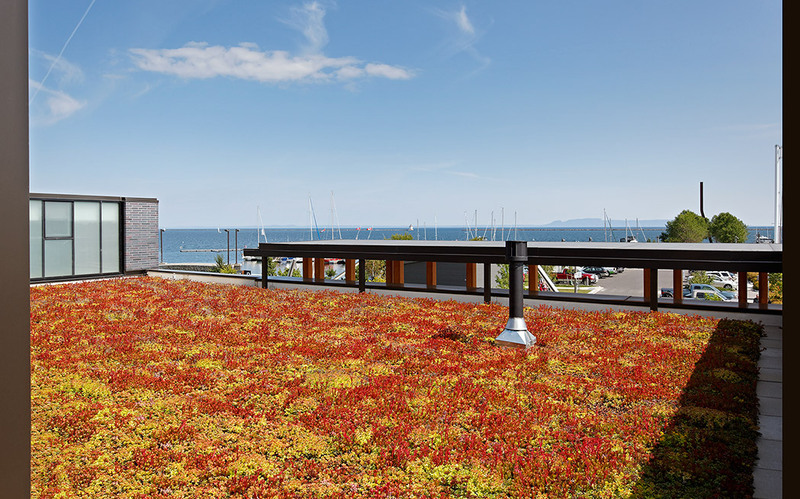 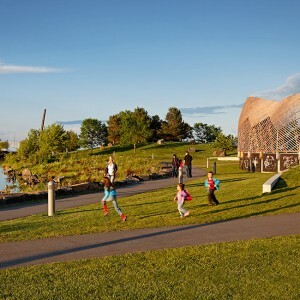 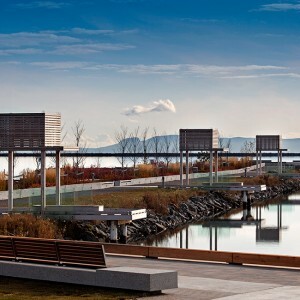 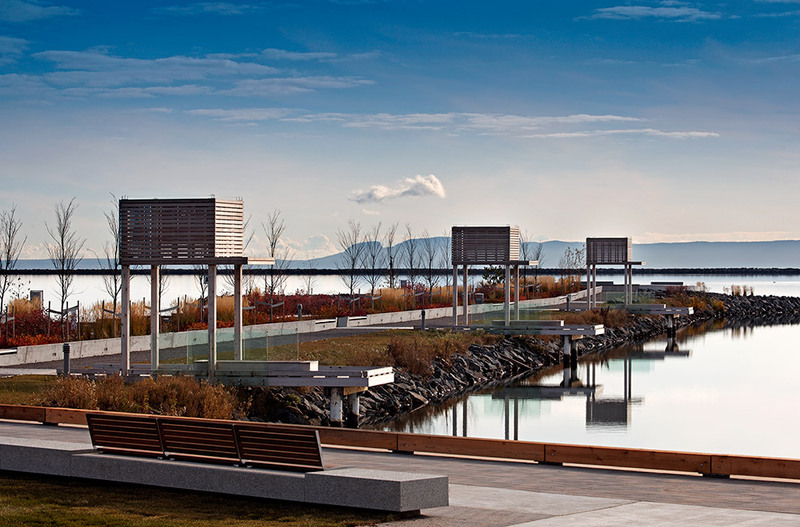 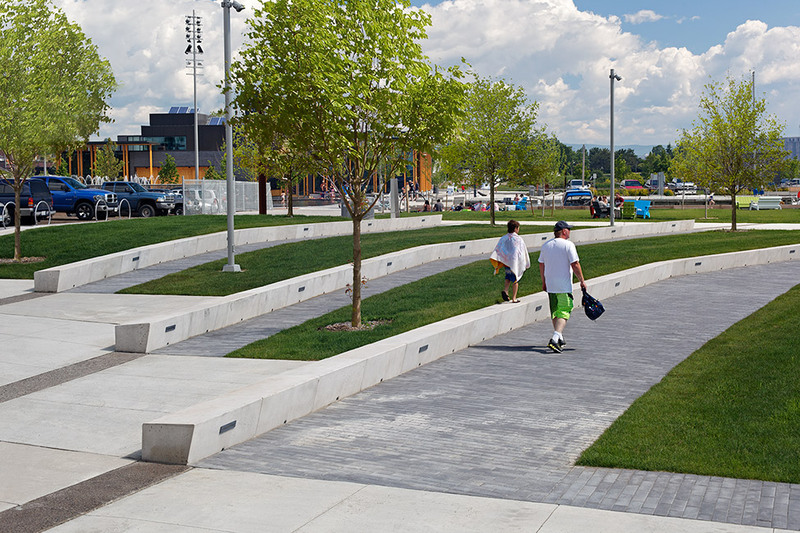 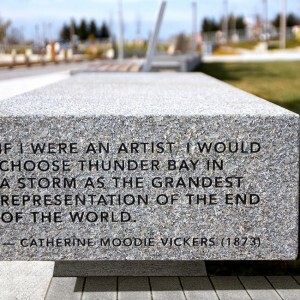 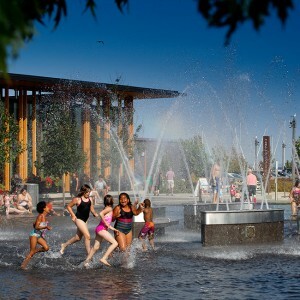 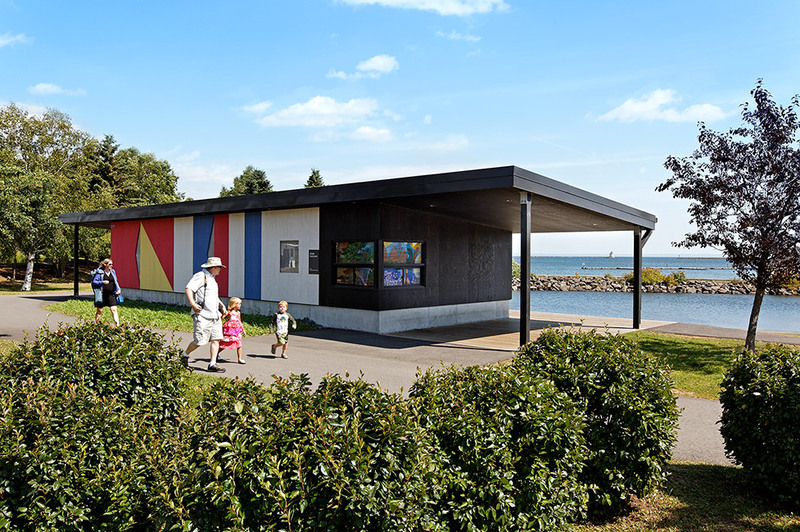 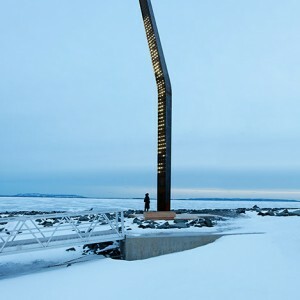 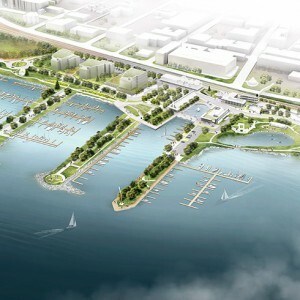 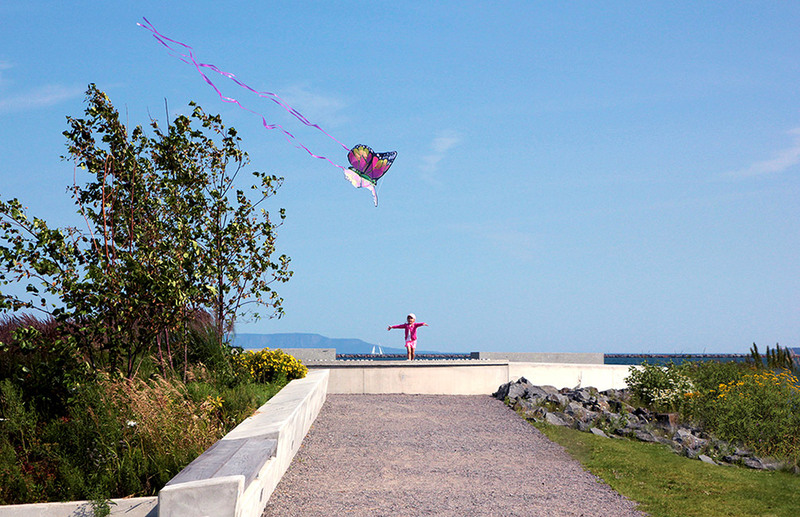 Brook McIlroy: Prince Arthur’s Landing transforms the City of Thunder Bay’s waterfront into a mixed-use village and animated waterfront park reconnecting the downtown to the shores of Lake Superior. 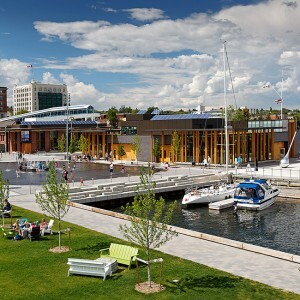 The waterfront opened to the public December 2011, and has seen record attendance, the opening of several new businesses and over ten design excellence awards. 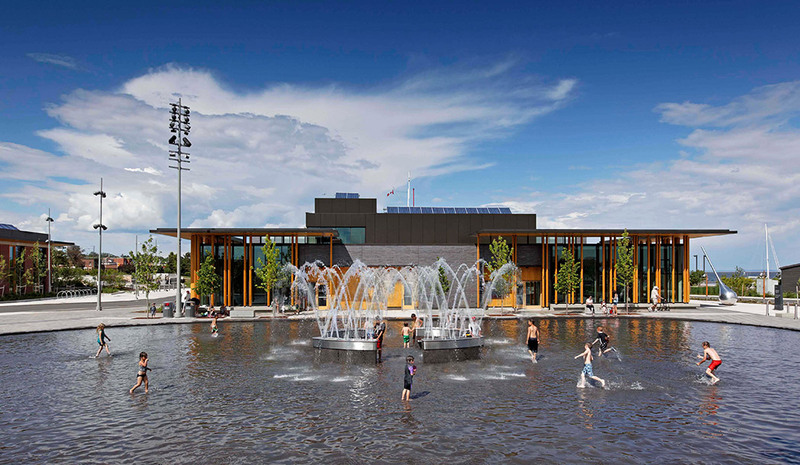 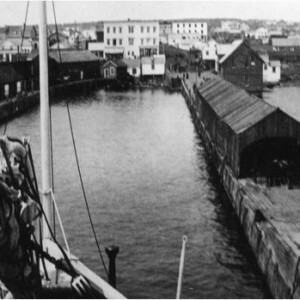 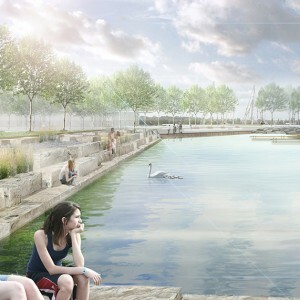 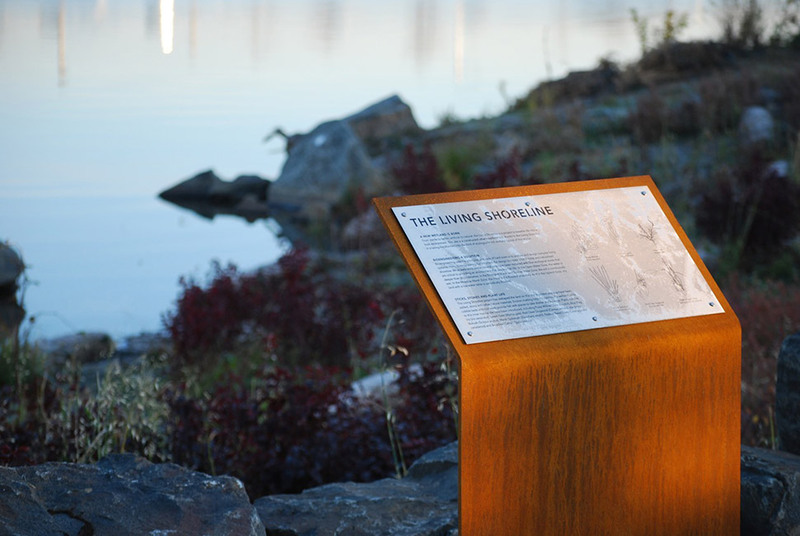 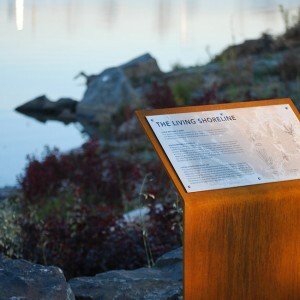 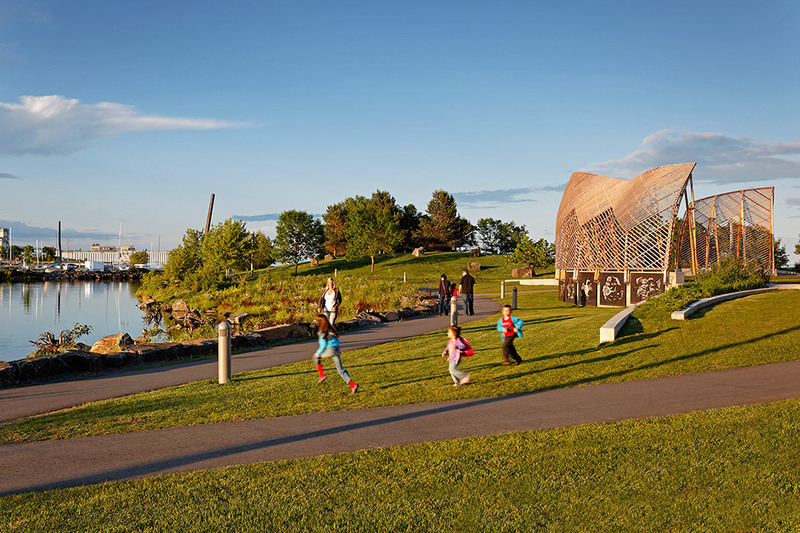 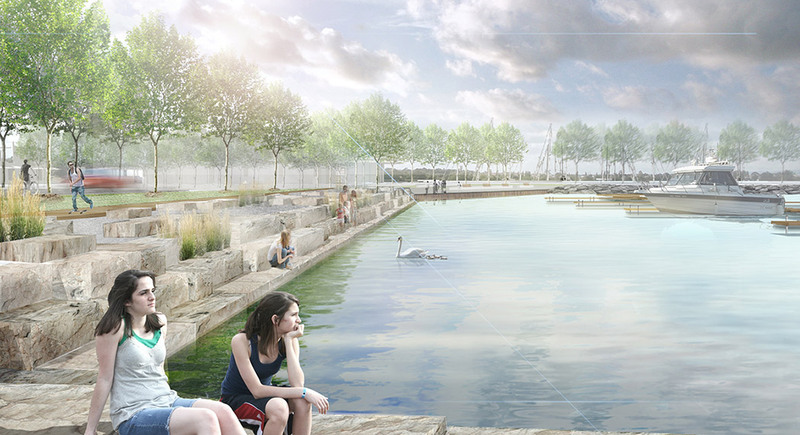 Commencing in 2006, Thunder Bay commissioned a team led by Brook McIlroy to design its new waterfront that would transform the City’s image and quality of life. 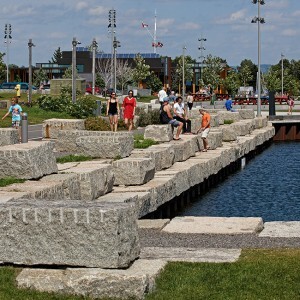 In 2009, the City was awarded the second largest contribution in Ontario under the National Infrastructure Stimulus Fund (ISF) program. 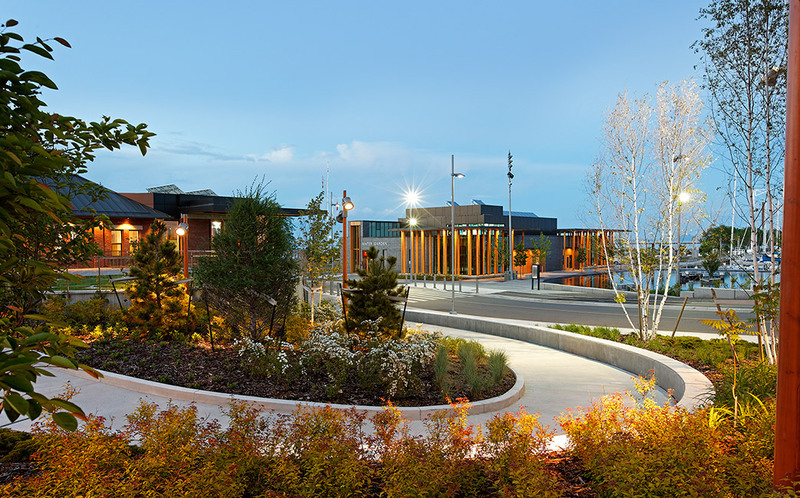 Through a $22 million investment, the City leveraged a comprehensive revitalization project with a construction value of $120 million, composed of $55 million in public sector funding and $65 million private sector investment. 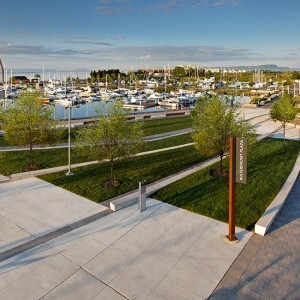 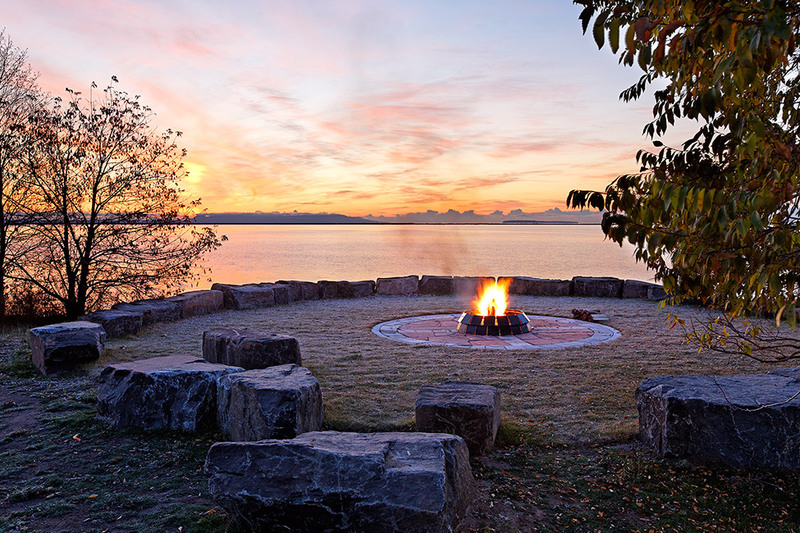 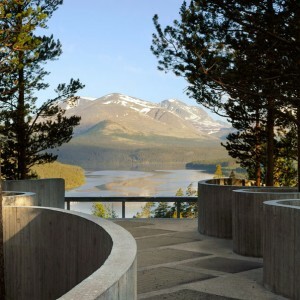 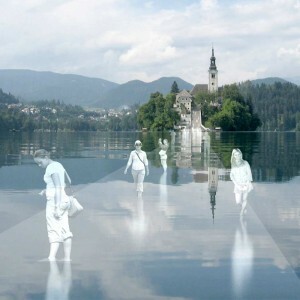 • Waterfront Park network including dedicated trails and landscaped destinations. 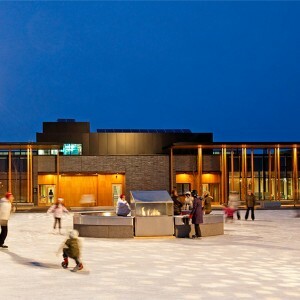 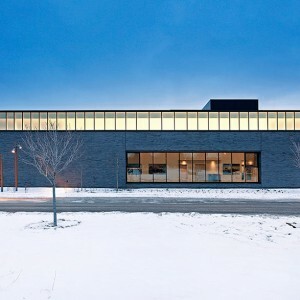 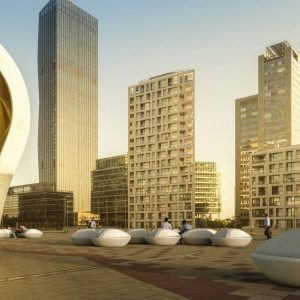 • Water Garden Pavilion – restaurant, event space and support for skating rink / summer splash pool. 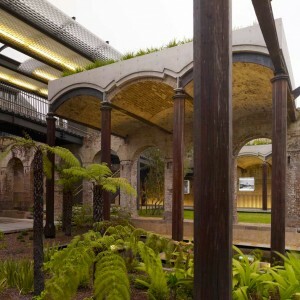 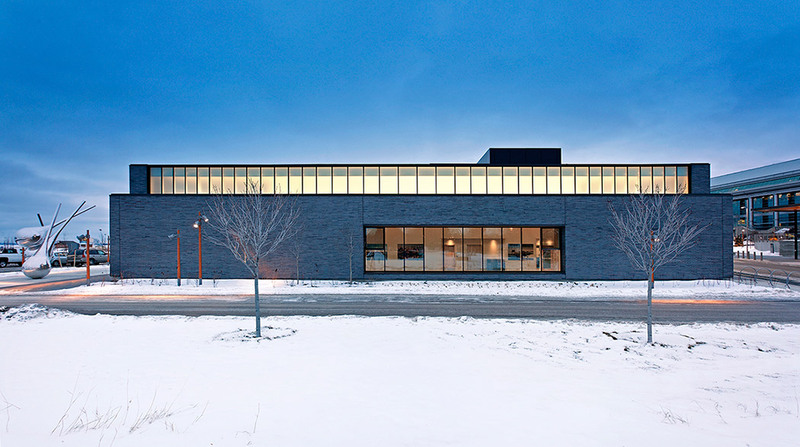 • Baggage Building Arts Centre – renovated 1900’s heritage structure containing a public art gallery, retail, and artisan studios. 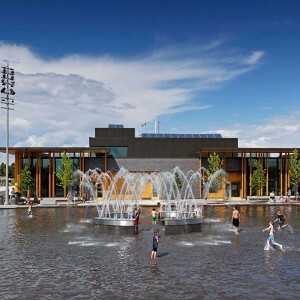 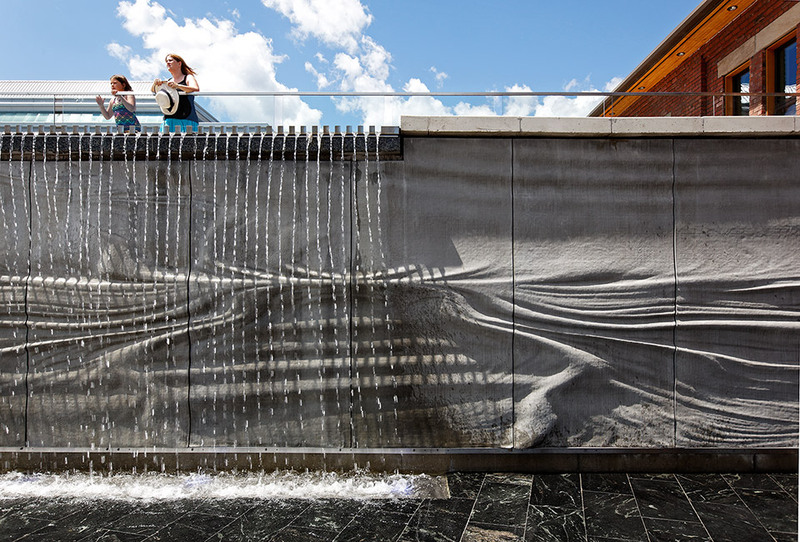 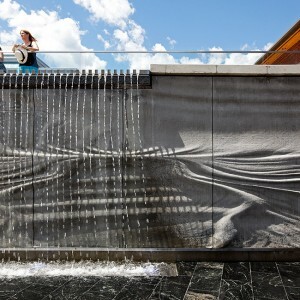 • Market Square and Waterfront Plaza – multi-purpose piazza space. 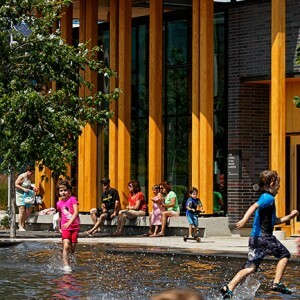 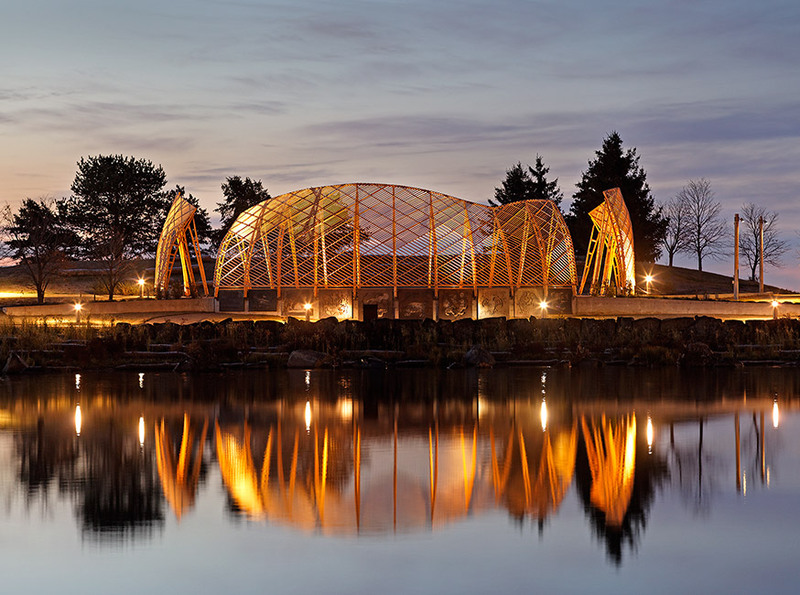 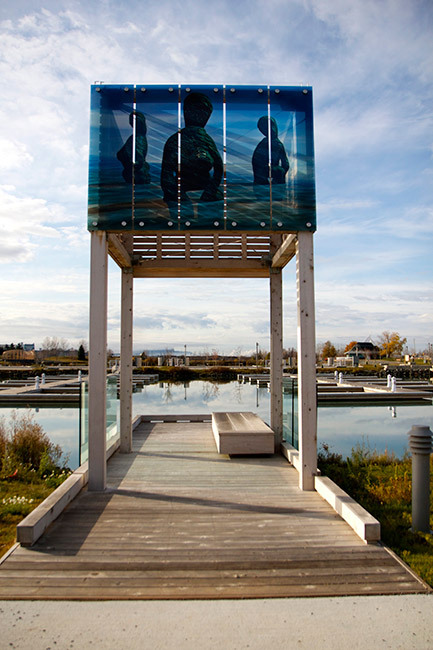 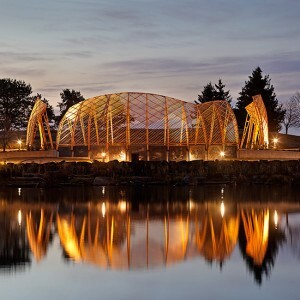 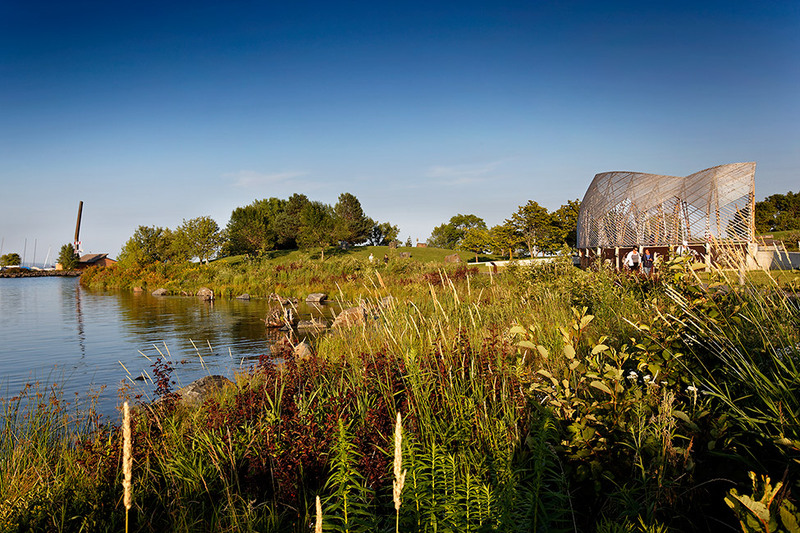 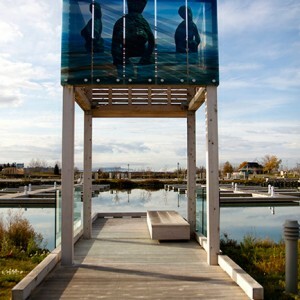 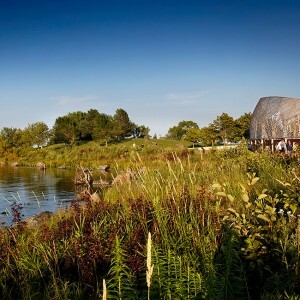 • Pond Pavilion – support for waterfront recreation activities including rentals. 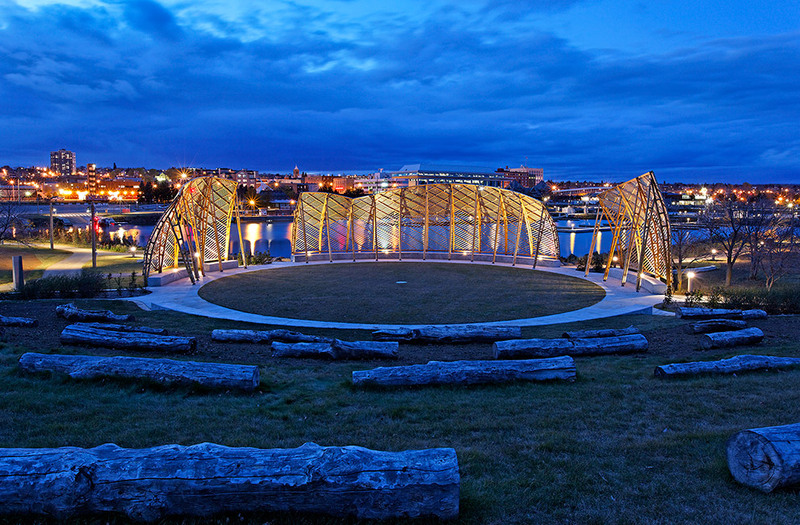 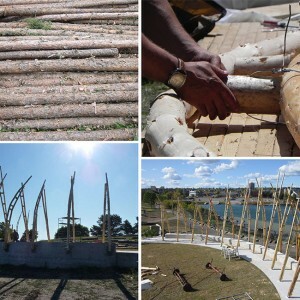 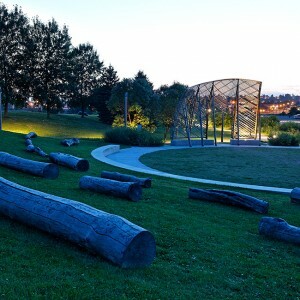 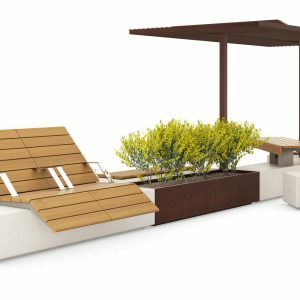 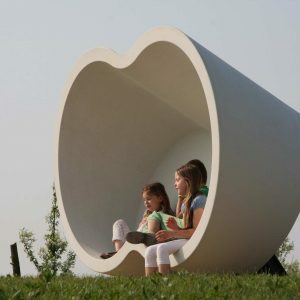 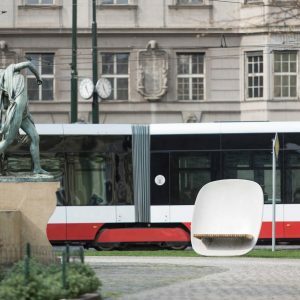 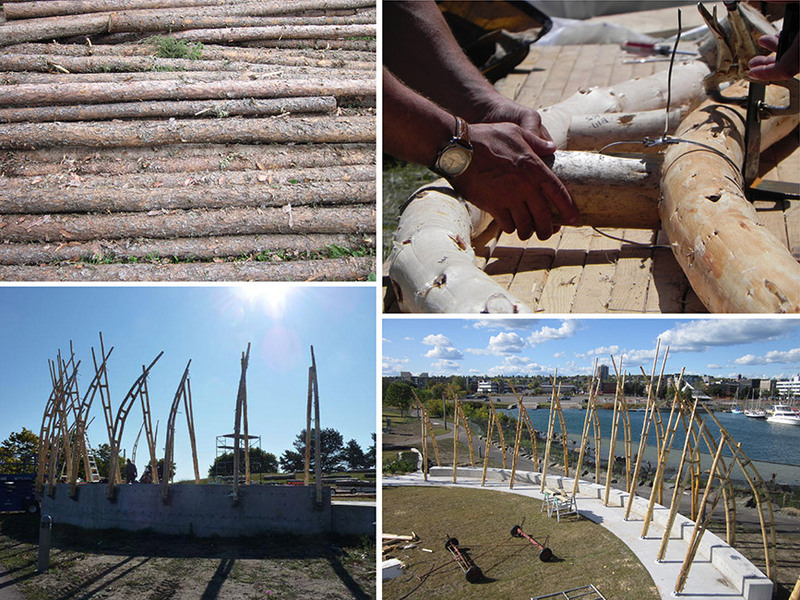 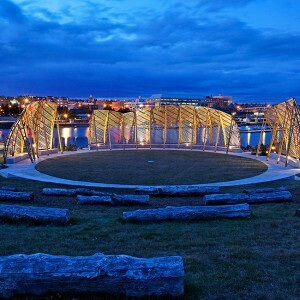 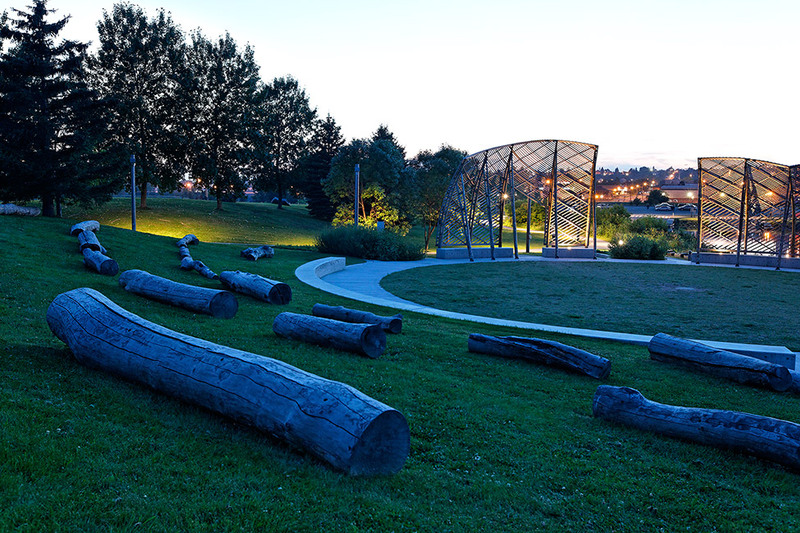 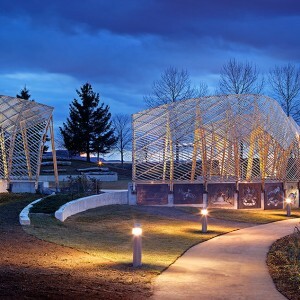 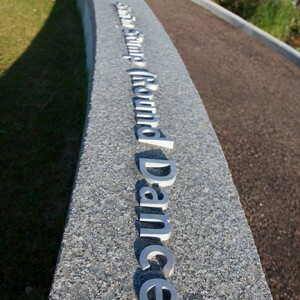 • Spirit Garden – outdoor performance/gathering area and rich public park space. 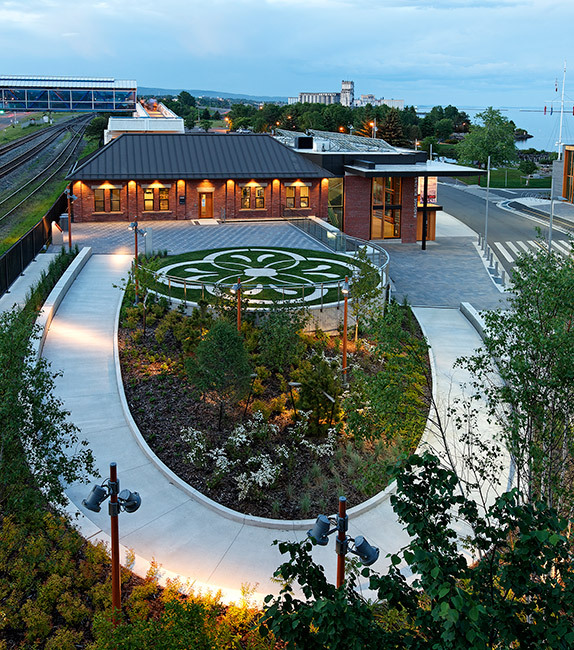 and CN Railway Station renovation to accommodate restaurants and retail.